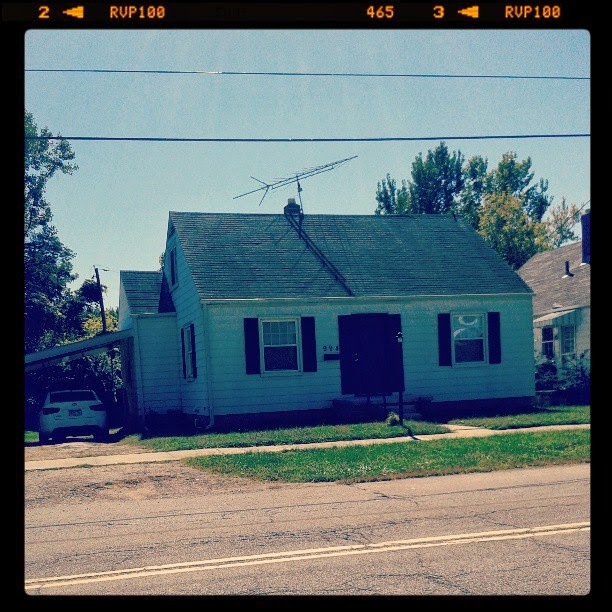 Our quaint, little Ohio home. 1. 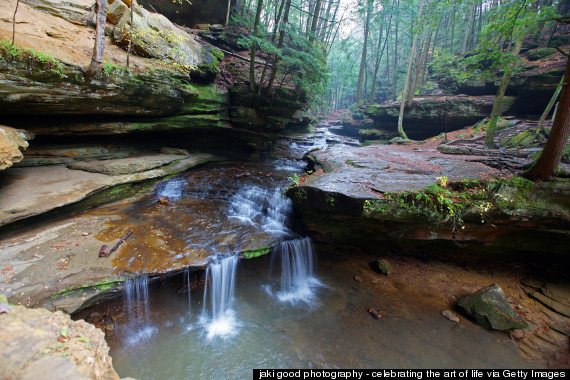 Old Man's Cave- Hocking Hills is a major travel destination for Ohioans. It looks absolutely beautiful and is begging us to take a camping trip. Hmm...perhaps a second anniversary getaway? 2. Young's Jersey Dairy (April 12, 2014)- I've heard so many good things about this place and it's soo close. It's crazy that I haven't been there yet! 3. Lake Erie- Meh. I grew up on Lake Ontario so I could take it or leave it. 4. West Side Market- This sounds a lot like Reading Terminal Market in Philly which I loved when I lived in the City of Brotherly Love! If so, count me in! 5. Ohio State football- Please don't tell my in-laws, but honestly, I could care less. I'm not a huge fan of college football and seriously, OSU fans are way too intense. 7. The John A. Roebling Suspension Bridge- Another one done, although not intentionally. I distinctly remember crossing this and thinking, "How the f#$* am I in Kentucky right now?!" 8. Yellow Springs- Easily my favorite place in Ohio. 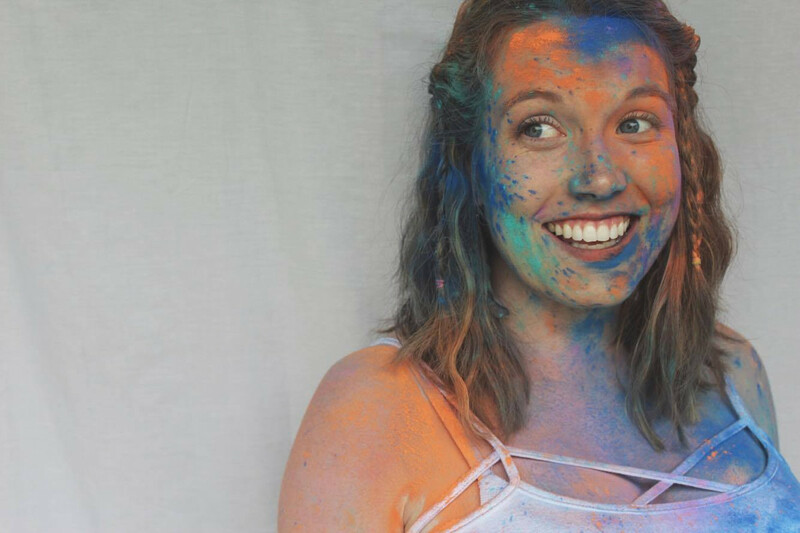 When I first moved to Ohio upon graduating college a few years ago and had no friends I used to spend all my spare time just walking around this adorable little hippie town. I actually haven't visited since we moved back to Ohio in October, but definitely plan to once the weather warms up! 9. Cedar Point- One thing you should know about me? I'm a rollercoaster junkie. 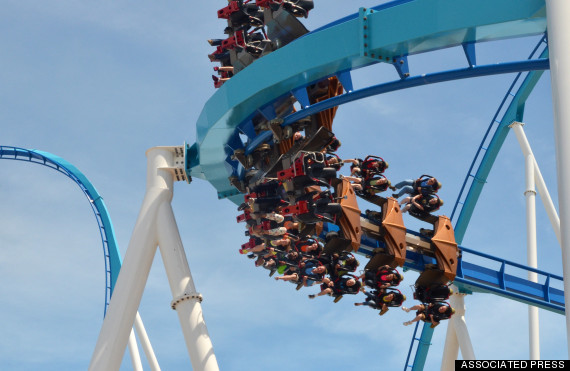 Before I even moved to Ohio, Cedar Point, which is virtually the rollercoaster capital of the world, was on my bucket list. I will be making this one happen. 10. Skyline Chili (July 21, 2014)- If you've never had Cincinnati Chili, don't let the cinnamon and cocoa powder scare you off. This stuff is delicious. This was another love that pre-dated my Ohio days. However, all my experiences with the stuff have been homemade. I have yet to eat at Skyline! 11. The "Christmas Story" House- I feel almost ashamed to admit this, but I have never really been a huge fan of The Christmas Story. That being said, I can't deny the fact that it is a staple of American pop culture and should definitely be on my list of things to see. 12. Amish Country- I've lived in Pennsylvania for 6 years of my life. Is it rude to say I think I've had my fair share of Amish encounters? 13. The Ridges- An old lunatic asylum? This probably won't be making the top of my list anytime soon. I am such a wuss and hate being scared! 14. The River- I have to admit, I've had the privilege of viewing the Cincinnati skyline at night time from across the Ohio River and it is beautiful. I'd love to maybe do a dinner cruise someday if such a thing exists! 15. The Rock and Roll Hall of Fame- How my Mom and step-dad have been here multiple times but I haven't continues to allude me. I'm a HUGE fan of classic rock, and really, any music in general. So this place is a must! 16. Graeter's Ice Cream- Coldstone lovers, beware. Graeter's totally lives up to its reputation. My favorite flavors? Their seasonal pumpkin and peppermint ice cream. It's seriously heaven in your mouth. 18. Dayton Aviation Heritage National Historical Park- Normally, a park devoted to aviation would not interest me in the slightest. But I've had several out-of-staters tell me what a cool place this is, so alas, I think I may have to check it out. 19. 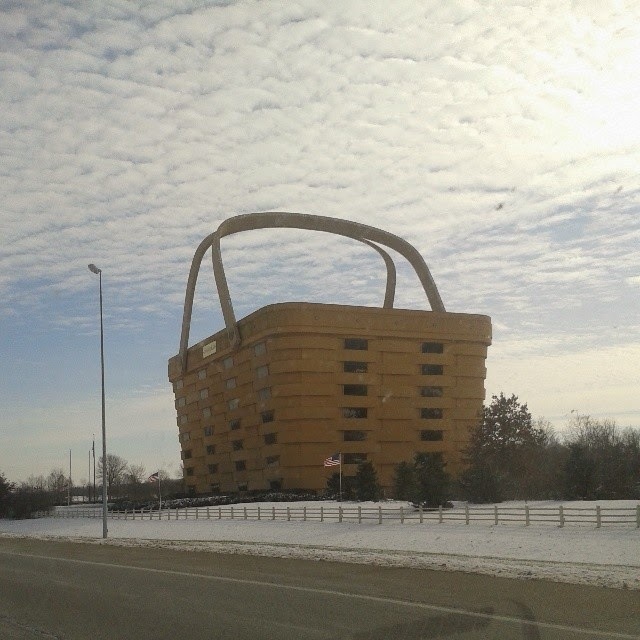 The Longaberger Basket- A giant building made to look like a picnic basket. I've actually seen this, although, not intentionally. I just happened to be driving by it and was completely perplexed as to why I was passing Yogi Bear's wildest dream. 20. The Pro Football Hall of Fame- This sounds like one for Chuck. Let's leave it at that. 21. Stan Hywet Hall & Gardens- I haven't actually figured out where this is, but the mansion and grounds do look absolutely gorgeous. 22. The Columbus Zoo & Aquarium- I was just there for their annual Wildlights event in November. Because it was cold and dark though, I suppose I'll have to go back again at some point. Although, if I'm being honest, zoos kind of depress me. I'd much rather go on another African safari! 23. Johnson's Island- An island that held Confederate prisoners-of-war during the Civil War? I've never heard of it until now, but I can definitely get onboard and bring out my inner history nerd! 24. The Akron National Hamburger Festival- I'm all for healthy eating, but if there's one thing I love- it's cheeseburgers! How I've never known about this event until now is astounding. I am making this a Summer 2014 priority! If you ask me, 7 out of 24 isn't bad for this Upstate New Yorker, but I can't wait to check more off my list! Skyline and Graeters are the best! I used to live near Cincinnati, so... love them! I am actually a Gold Star girl. Don't tell my friends. What an awesome list! And seven out of twenty-four is pretty good! I'm a little scared to search for Texas bucket lists for myself, I've probably done like, two out of three hundred since I moved here. Not as scared as I would be to visit that old insane asylum, though! Yikes. Okay. So, my dad is from Cincinnati, and I have grown up eating Cincinnati Chili. It's pretty much my favorite food in the ENTIRE world. Not kidding. And I am telling you this with all of the chili love in my heart, NOTHING compares to the Skyline Coney. If you order one single thing from there, get 2 Coney 4-ways with mustard, onions not beans. Life changing.